The Nasdaq Composite has ended its bear market, at least according to two metrics. Unlike its rallies during the 2001 and 2008 bear markets, this time it has managed to exceed the 61.8% retracement of the decline. And it has rallied 20% from its low, the accepted definition of a bull market. 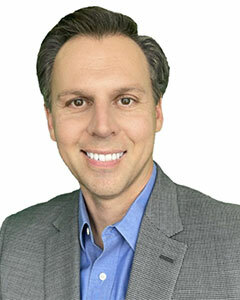 Both developments have led to continued positive returns for the index. In December, mutual fund investors pulled a massive amount out of equity funds. During January, it was ETF investors’ turn. Despite the big rally, U.S. equity ETFs saw an outflow, the first time ever during such a positive month. Other times there was an outflow during a positive month, it was a good sign, with a caveat. Due to the government shutdown, the CFTC is releasing two reports a week until they get caught up. The latest release covers positions through year-end. There were no new extremes of note on the 3-Year Min/Max Screen. While not extreme, it’s at least worth noting that hedgers have been rapidly decreasing their large long position in 10- and 30-year Treasuries. The Optimism Index on the emerging markets fund, EEM, is at 88, 2nd-highest among the ones we follow. Per the Backtest Engine, a reading above 87 when the fund is above its 200-day average led to further gains over the next week 42% of the time. 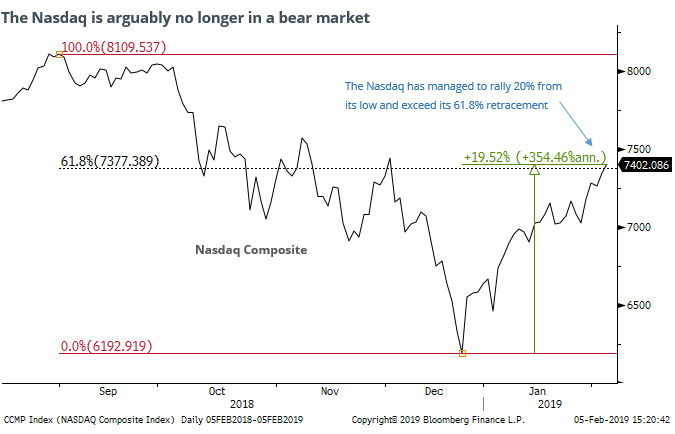 The post titled Nasdaq Escapes Bear Market As Investors Pull Out was originally published as on sentimenTrader.com on 2019-02-06.